<<GOTHIC KNIGHTS TO PLAY WITH DRAGONFORCE AND THEN HEAD TO GERMANY!! GOTHIC KNIGHTS LIVE WITH ROSS THE BOSS!! First show for 2018! 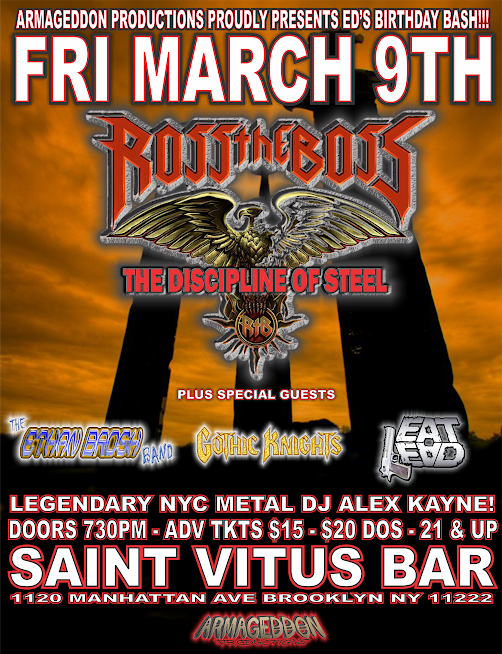 Come down for a night of true heavy metal, Manowar classics, and to celebrate Ed Farshtey’s birthday, who is one of the coolest and most dedicated metal promoters in NYC! Hail and Kill! !